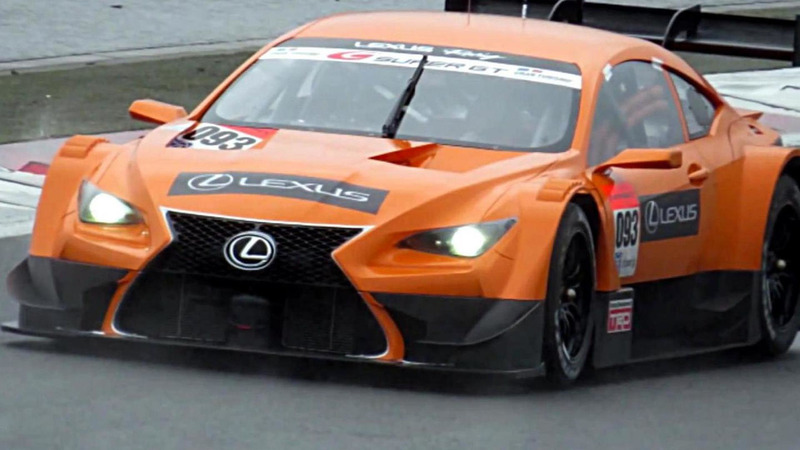 Lexus recently announced plans to field a LF-CC-based race car in the 2014 Super GT Series and the model has finally been caught on video. Set to compete in the GT500 class, alongside the Honda NSX Concept GT, the model replaces the SC430-based race car and reportedly has a turbocharged 2.0-liter four-cylinder engine. Little else is known about the model but it has an aerodynamic exterior with a ventilated hood, extended wheel arches and a massive rear wing. We can also see a prominent spindle grille, carbon fiber canards and slender mirrors. There's also aerodynamic side skirts and an aggressive rear diffuser.